The European Union is to further ease sanctions on Zimbabwe next week, but will keep a travel ban and asset freeze on President Robert Mugabe and his wife. BRUSSELS– The European Union is ready to suspend most of its remaining sanctions against Zimbabwe but President Robert Mugabe and his wife will remain blacklisted, an EU diplomatic source said Wednesday. The EU “will suspend sanctions on eight out of the ten people concerned and one company,” the source said, adding that a formal decision is expected next Monday or Tuesday. The source confirmed reports that Mugabe had been invited to an EU-Africa summit in Brussels in April but the Zimbabwe president had so far not replied. “The head of state of Zimbabwe has been invited but the EU has had no response so far,” said the source, who asked not to be named. EU sanctions were first imposed on Mugabe and his allies in 2002 on the grounds of political violence, human rights abuses and the failure to hold free and fair elections. 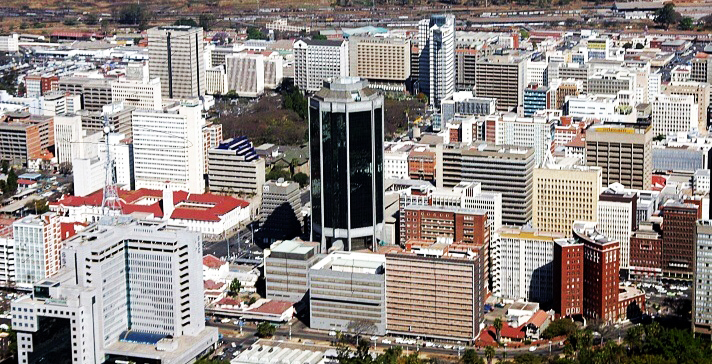 In February last year, Brussels suspended an assets freeze and visa ban against most of the Zimbabwe firms and individuals targeted after what it judged to be a “credible” referendum on a new constitution. Mugabe however remained on the list along with nine other individuals and two companies, compared with 112 people and 11 firms previously. In September 2013, the EU lifted its sanctions on the Zimbabwe Mining Development Corporation, operator of one of the world’s largest diamond fields and which was blacklisted for allegedly channeling funds to Mugabe’s ZANU-PF party.